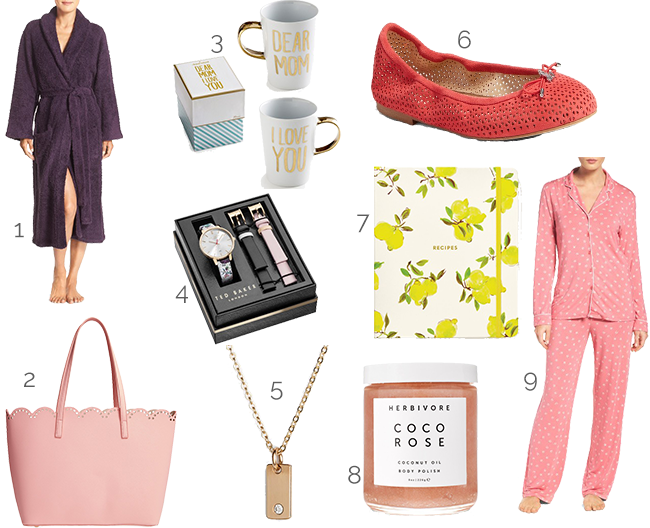 Mother's Day is this coming Sunday and if you're a last minute shopper like me, then you are stressing about what to get your mom. (yes I just ordered her gift last night, I'm such a procrastinator!) Shopping for my mom is almost as hard as shopping for my dad because well she is a shopper like me and basically has everything. I managed to get her a pretty fun gift this year which I won't spill the beans on since she is a frequent reader of SC. Well I decided to scour the web and find some amazing gift ideas for mom, that will be sure to be a win. Hope everyone is having a great Tuesday!